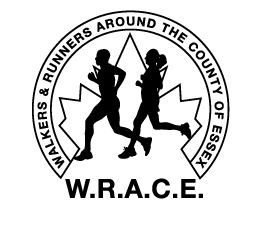 Portion of the proceeds go towards The Hospice of Windsor & Essex County Inc.
Come out and participate in the Miracle 5k walk, run or dribble event along the Ganatchio Trail! Experience the wonderful scenery Gnatchio Trail has to offer. 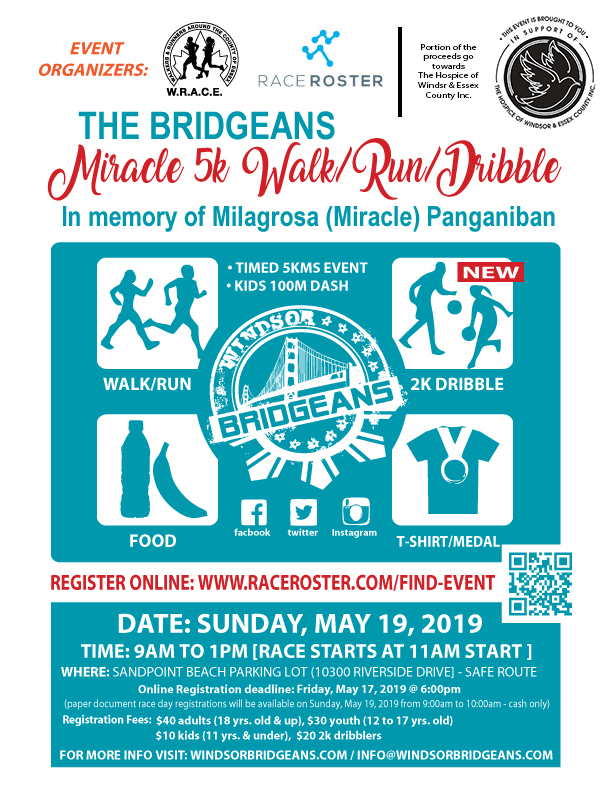 The Windsor Bridgeans (WBO) will dedicate this event in memory of Milagrosa (Miracle) Panganiban, a strong supporter of the Windsor Bridgeans. 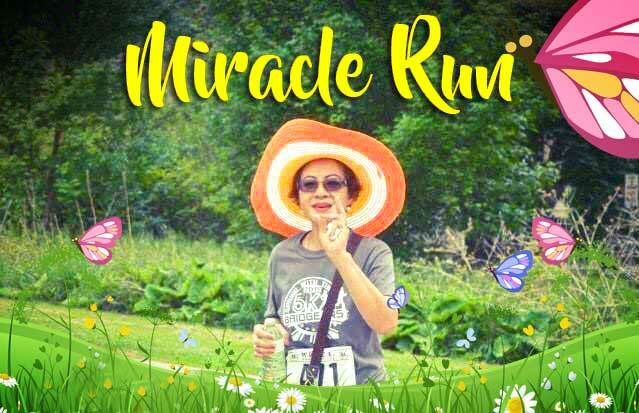 Her husband, Angel Panganiban, founder of NABA, an advocate and advisor of WBO. Everyone is welcome! Rain or Shine!! With your support we can continue to promote health and fitness through the game of basketball, volleyball and other related sports for all ages. 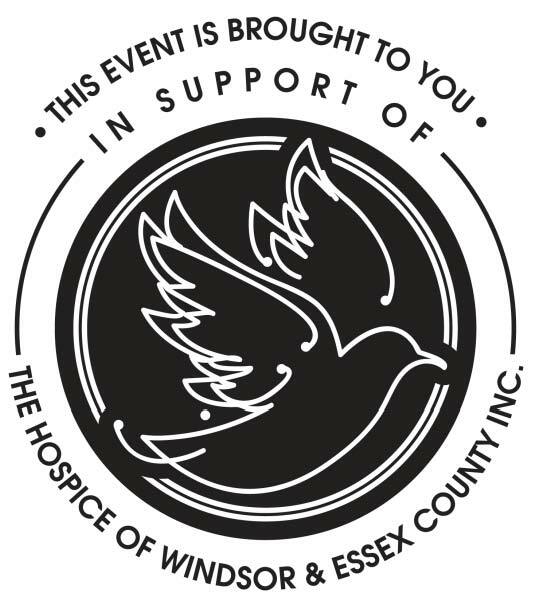 Thank you for supporting Windsor Bridgeans Organization local kids and adult basketball programs. Your participation in the Miracle 5k walk, run or dribble will also help our kids compete in The North American Basketball Association (NABA), with over 120 teams and 28 cities in North America and London, England. 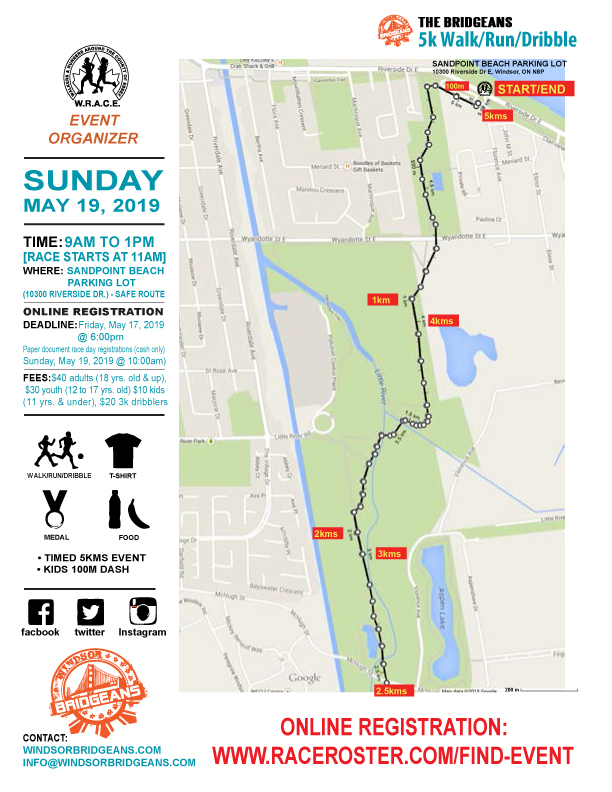 All finishers will receive a t-shirt and medal, including the kids!